The island of Lelystad was surrounded by ice after a period of frost, but the island could still be reached over the ice. Because of the thaw it has become completely isolated. 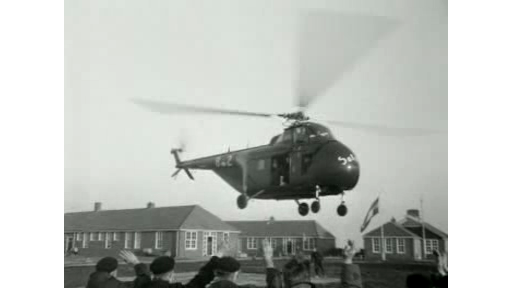 With a helicopters an airlift was formed, so food, mail and people can be transported to and from the island. The wife and baby of the doctor were aboard this flight.